Indianapolis has long been known as having the most affordable housing in the nation. It's an old story, but one home buyers love. This week Bloomberg named Indianapolis as the 16th cheapest cities in the US. I prefer affordable over cheap, but either way, it's a great moniker. As it pertains to real estate, you really can get a lot of home for your money. Especially surprised at our home prices are those who are relocating to Indianapolis. Most of the time they can easily afford more home than they thought possible. One of the interesting numbers used in the Bloomberg report was the cost for an apartment vs. a house payment. A 2 bedroom apartment was $793.00 a month and the average house payment was $781.00. In representing a lot of first time home buyers, I find they are buying a lot more home for less than they pay in rent. However, when the national news writes, they usually look only at Indianapolis. I thought I would break it down to our most popular suburbs. The averages are based on home sales between 1/1/2011 - 6/30/2011. Indianapolis Homes - The average home in Indianapolis has 3 bedrooms, 2 baths, 1696 square foot and sold for $112,400. 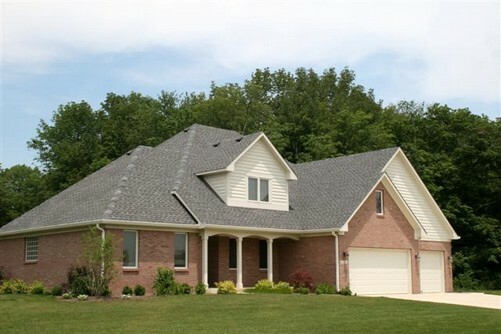 Avon Homes - The average home in Avon Indiana was a 3 bedroom, 3 bath with 2136 square foot and sold for $155,253. Brownsburg Homes - The average home in Brownsburg Indiana was a 3 bedroom, 3 bath with 2168 square foot and sold fro $168,485. Carmel Homes - The average home sold in Carmel Indiana had 4 bedrooms, 4 baths with 2730 square foot and sold for $318,879. Danville Homes - The average home sold in Danville Indiana had 3 bedrooms, 2 baths with 1872 square foot and sold for $142,594. Fishers Homes - The average home sold in Fishers Indiana had 3 bedrooms, 3 baths with 2237 square foot and sold for $208,896. Greenwood Homes - The average home sold in Greenwood Indiana had 3 bedrooms, 3 baths with 1997 square foot and sold for $160,408. Noblesville Homes - The average home sold in Noblesville Indiana had 3 bedrooms, 3 baths with 2172 square foot and sold for $179,977. Plainfield Homes - The average home sold in Plainfield Indiana was a 3 bedroom, 2 bath with 1922 square foot and sold for $150,104. Westfield Homes - The average home sold in Westfield Indiana was a 4 bedroom, 3 bath with 2218 square foot and sold for $205,101. Zionsville Homes - The average home sold in Zionsville Indiana was a 4 bedroom, 4 bath with 2751 square foot and sold for $329,338.